Expires in 1wk . Last validated 6d ago . Used 2 times. NESTOR NUÑEZ I am validating that this deal works as described. 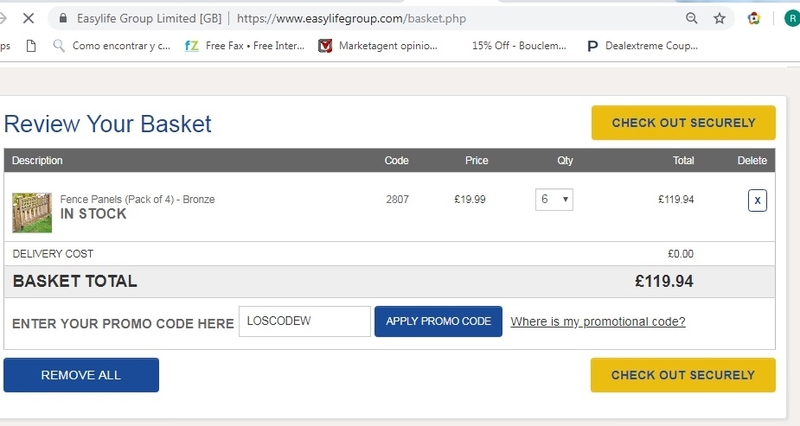 Just enter the code at checkout to get Free Delivery Off Your Order of £30 or More at Easylife Group (Site-wide). Nicolas Fuentes Get free delivery off your order of £30 or more. 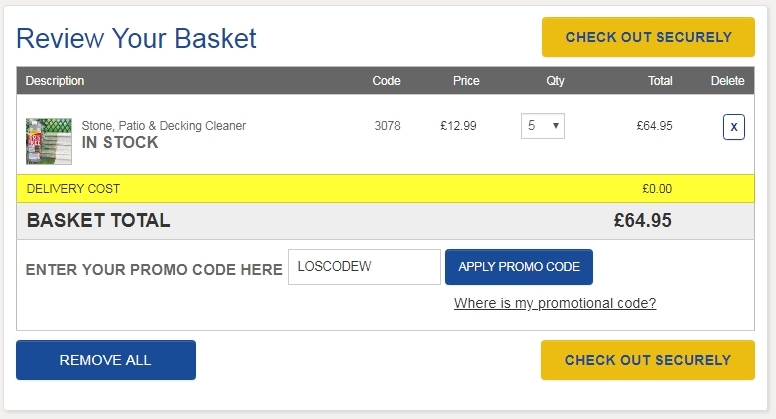 Use the coupon code LOSCODEW to claim your discount. Exclusions may apply to this offer. Alexander Iriarte This great deal is working as described, go to the store, add your items to the cart, use the coupon and get Free Delivery Off Your Order of £30 or More.